Saturday April 20, 2019 10:00 AM Pre-K to grade 12 educators, enjoy 25% off most books, toys, games, movies, music, and more every Saturday and Sunday in April, in store and online. Plus, get a free Tall Starbucks® Fresh Brewed Hot or Iced Coffee when you use your educator card. Receive a free tote when you sign-up in store. While supplies last. Saturday April 20, 2019 11:00 AM Destiny, the Fresh Princess, is faced with challenges when moving to a new neighborhood that looks nothing like her old one. With help from her family, she creates a plan and jumps right in. Join us, and get a coupon from our Café for a grilled cheese sandwich with milk or juice for $4! Wednesday April 24, 2019 11:00 AM Activities to follow. Saturday April 27, 2019 3:00 PM Young adult author Samira Ahmed will be joining us in-store to discuss her newest release, Internment. Join us at 3PM for a discussion and book signing! 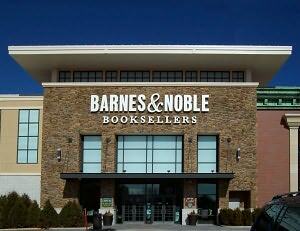 Internment must be purchased from Barnes & Noble to join the signing line.